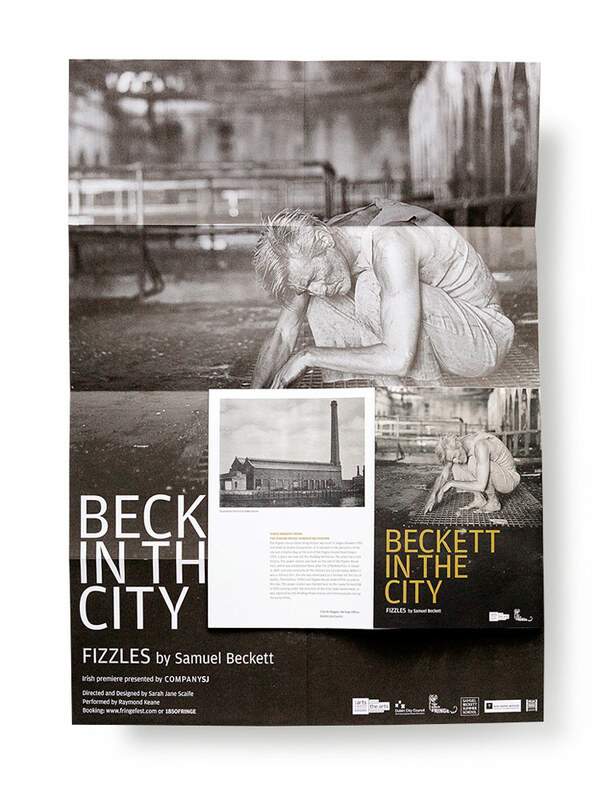 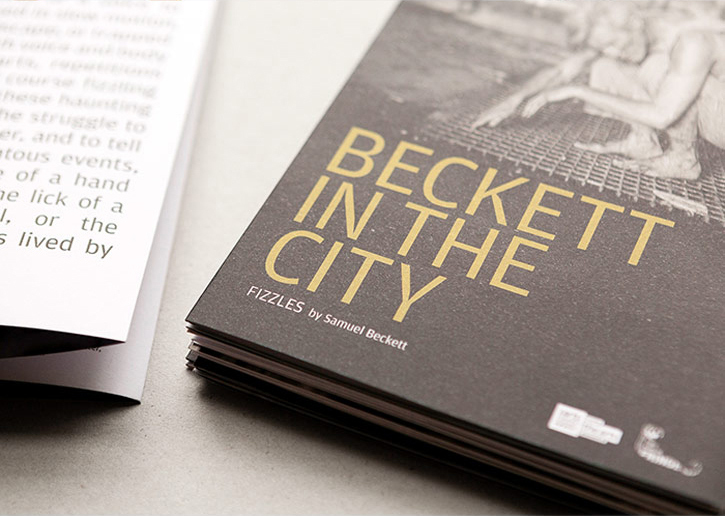 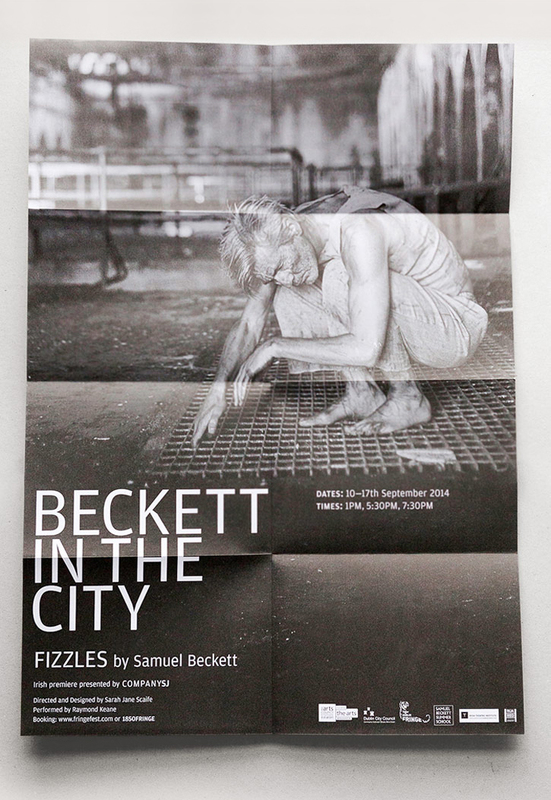 This leaflet and poster were designed as a part of a marketing campaign for Company SJ, an innovative Theatre Company primarily focussed on the work of Samuel Beckett. 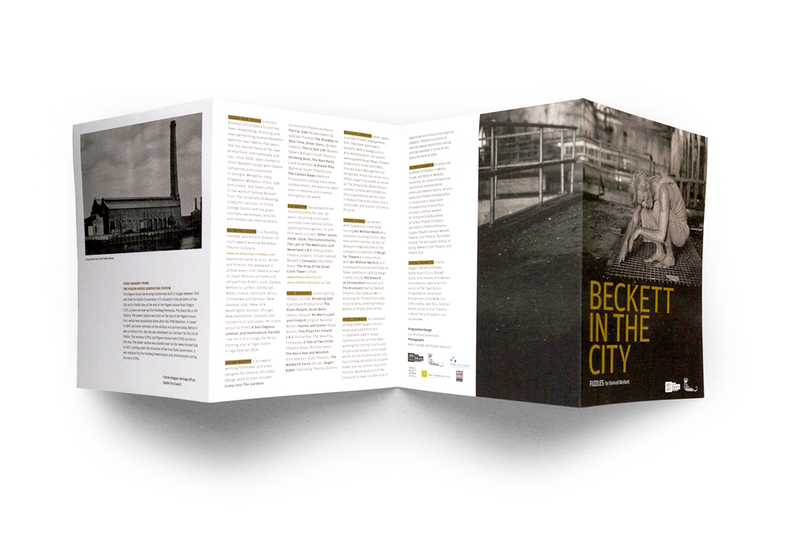 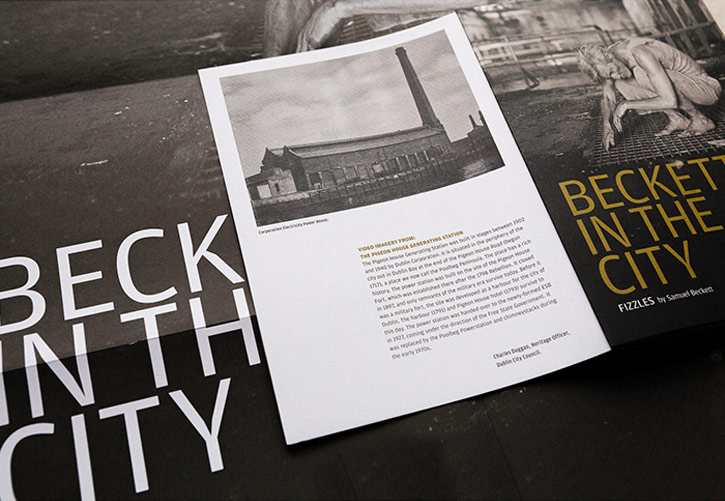 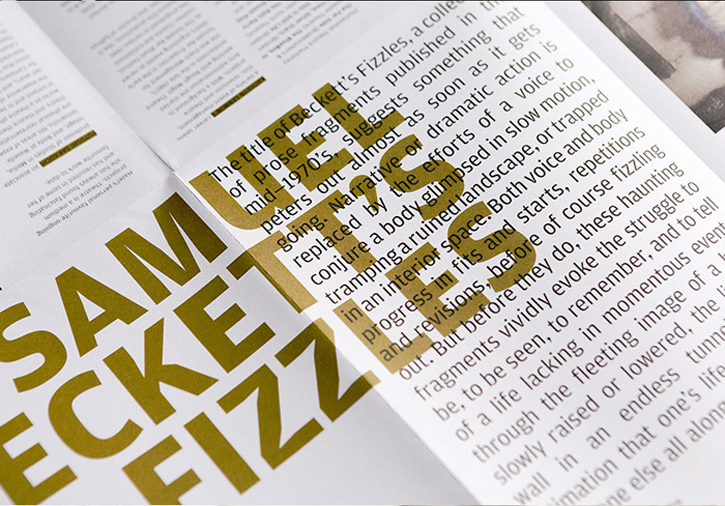 The folded poster-leaflet aims to promote the performance for theatre lovers, which took place at the Tiger Dublin Fringe festival in September 2014 in one of the most resonant architectural spaces of Dublin’s past. 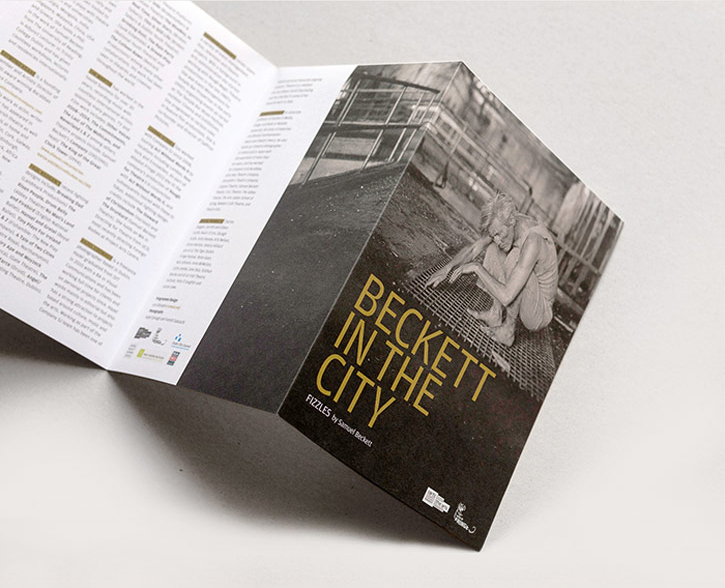 The leaflets were printed on A2 size uncoated paper to be folded down to A5 size.